Stands about 9″ tall with 5 points of articulation. Expertly hand painted by LORDMASTERPRINCE with metallic details to create a perfect kaiju rendition of the classic T-800 cybernetic body. Lottery now open until May 14, 2018. 23:00 HK time. 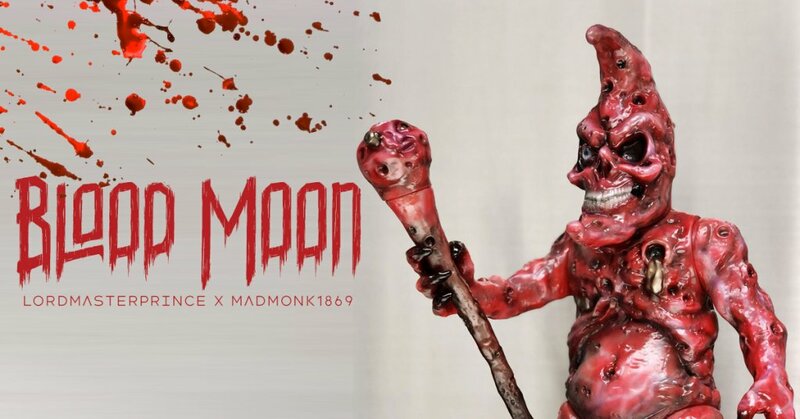 Want to see more LORDMASTERPRINCE’s Madmoon customs? Click on the picture below.